Even though the calendar hasn't officially marked the start of fall, we all know it's here! Planters are full of mums, bellies are full of pumpkin spice lattes and farm stands are full of pumpkins. As you arm yourself with the essentials you need to make it through the season, make sure you do the same for your landscape! 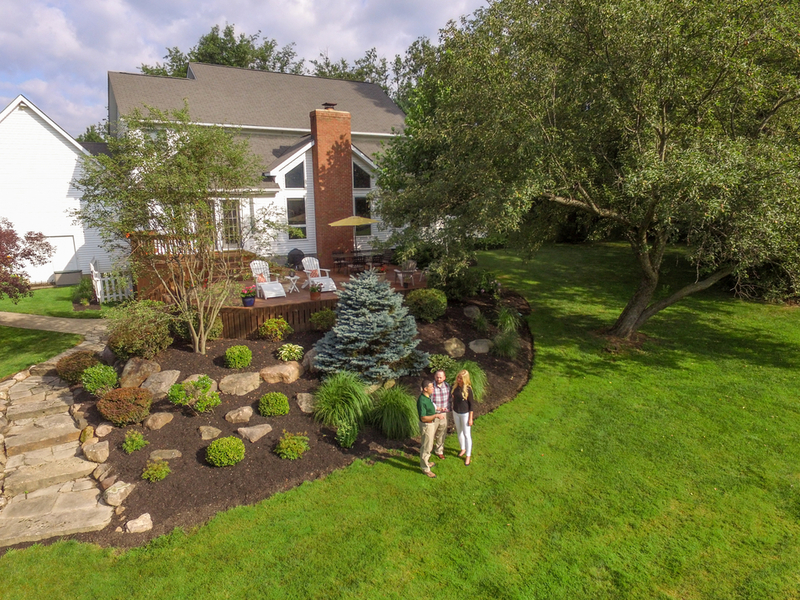 "Now's a great time to see if your trees need a dose of nutrients," says Robert Spartz of Davey's Quad Cities, Iowa, office. Below, Spartz shares everything you need to know about fertilizing your trees this fall. "If you have grass growing around your trees, they're competing for a limited amount of water and nutrients in the soil," Spartz says. "And grass usually wins. That's why it's important you regularly check if your trees have enough nutrients." Read on to learn his advice about fertilizing trees. Why: As Spartz mentioned above, grass often outcompetes trees for limited nutrients. But that's not the only reason trees need our help. In forests, soils have nutrients galore. In yards, that's not often the case. As we sweep away leaves, twigs, and fallen bark, we remove potential recycling of nutrients. When: Look for signs that your trees are lacking nutrients in the soil to see if you need to fertilize. Best Time to Fertilize: If you spot one of the above signs, test the soil to confirm your hunch. Grab a soil test from your local garden center, send off a sample to your extension agent or have your arborist check to see if any elements are missing or in short supply. If you need to, it's usually best to fertilize sooner rather than later. Pick a tree fertilizer with a slow, controlled release and low burn potential. That way you don't have to worry about the "best time to fertilize." You can apply when your trees need it most. How to Apply Like a Pro: Select a fertilizer made for woody plants with the right mixture of nitrogen (N), phosphorus (P) and potassium (K). 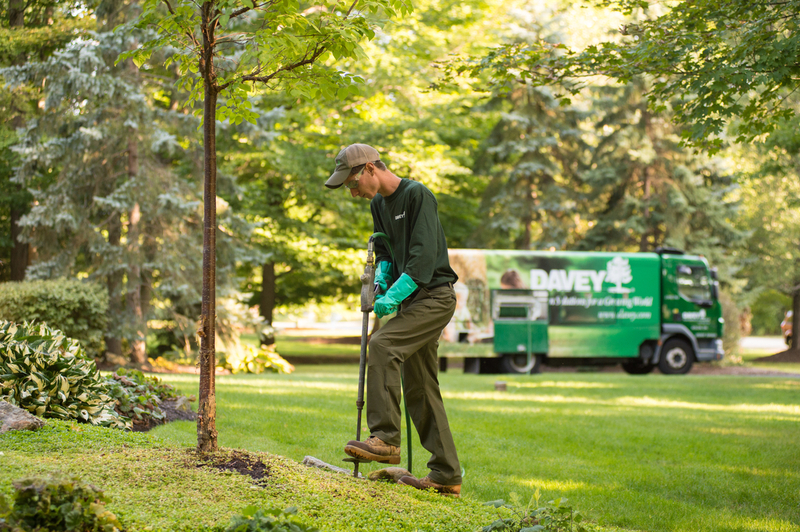 This blend, found in Davey's Arbor Green PRO® , mimics the natural environment to give trees the nutrients they need to thrive. If your fertilizer has PPA, like Arbor Green PRO® does, that's even better! That amino acid helps enhance nutrient availability while reducing nutrient loss from rain or watering. Want an expert to fertilize your trees? Contact Spartz–or any of Davey's certified arborists.